Learn about global trends in sustainable tourism and sustainability best practices. The Global Sustainable Tourism Council (GSTC) Sustainable Tourism Training Program (STTP) offers practical insights and effective steps to help improve sustainability practices. The STTP strengthens awareness of sustainable tourism in destinations throughout Colorado, and around the world. The intensive and interactive learning experience is a valuable training opportunity for professionals in tourism, hospitality, destination management and marketing, and sustainability. 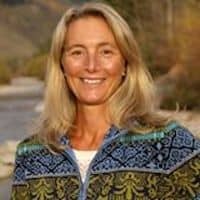 The training will be led by GSTC trainer and Walking Mountains Science Center Founder & Vice-President of Sustainability Programs, Dr. Kim Langmaid, in addition to expert guest speakers. Two-days of intensive training, opportunities to meet professionals and build a growing network in sustainable tourism, optional social gatherings and outdoor exploration of the Vail area. *Note: Actively Green members are those who have made their annual payment for the program to Walking Mountains within the last 12 months. Actively Green certification is not required.